A unique Kootchy Product that not only looks great but could also save your life. 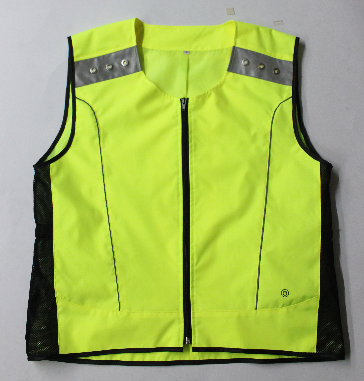 Very good quality product, the All Viz Vest is nicely shaped and very comfortable over your running clothes (the vest comes in different sizes). Good breathable section down each side and finished off with a trim under the arm and round the bottom. Excellent product for running in especially in the dark, offers you great visibility the LED lights are really bright and have 3 different settings which is really useful and has a rechargeable battery pack. 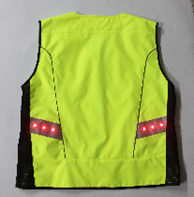 It is easy to turn on and off from a handy pocket on the front of the vest. 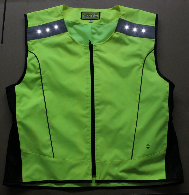 Would recommend this product being seen is a must whilst out running and you will certainly been seen wearing the Kootchy All Viz Vest.